Laverne Cox and Sarah Silverman strike a pose on the red carpet at the InStyle & Warner Bros. Party held after the 2019 Golden Globe Awards on Sunday (January 6) at the Beverly Hilton Hotel in Beverly Hills, Calif. The 46-year-old Orange Is The New Black star and the 48-year-old comedian were joined at the big bash by Cat Deeley, Kristin Cavallari, Karolina Kurkova, Rachel Zoe, Tika Sumpter and Madchen Amick. FYI: Laverne is wearing a Hamel dress, Emm Kuo clutch, Butani earrings, Kenneth Cole shoes and bracelets and rings by Mattia Cielo, DJula Jewelry, Marli and Vhernier. Sarah is wearing a Romona Keveža dress. Tika is wearing a Zac Posen dress and Le Vian jewelry. Kristin is wearing an Amen dress and Chopard jewelry. Karolina is wearing Versace and Graziela Gems. Madchen is wearing a Mario Dice gown, Le Silla pumps, a Gedebe clutch, and Lilou jewelry. 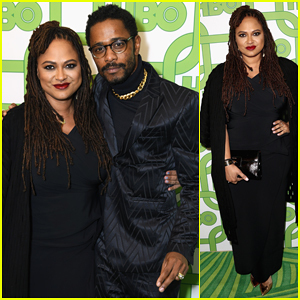 Ava DuVernay & Lakeith Stanfield Buddy Up at HBO's Golden Globes After Party! Lana Condor & Boyfriend Anthony De La Torre Couple Up at Golden Globes After Parties! 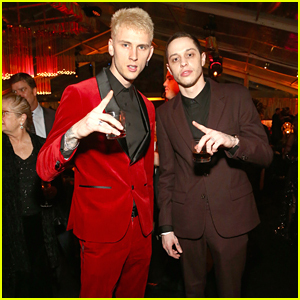 Pete Davidson & Machine Gun Kelly Party It Up at InStyle's Golden Globes After Party! Claire Foy, Camilla Belle, & Emmy Rossum Switch Up Their Looks for Golden Globes After Parties! Sofia Boutella, Douglas Booth, & More Party The Night Away After the Golden Globes!